Located in a central L1 position in Liverpool, these modern self-contained properties are the perfect investment opportunity and feature an abundance of on-site facilities and huge rental potential for smart investors looking for quality real estate in the UK. Constructed by one of Liverpool’s fastest growing property developers, this project is a fully managed armchair investment opportunity and includes a free high-specification furniture pack for early investors – contact us for all the details. 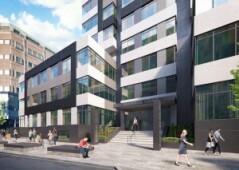 This quality project consists of a range of studios and one bedroom apartments for sale in the centre of Liverpool, measuring from 25m2 – 54m2 in different types. There are four different blocks, each with a different completion date starting from August 2017 – July 2018. There is a 10-year building warranty in place. 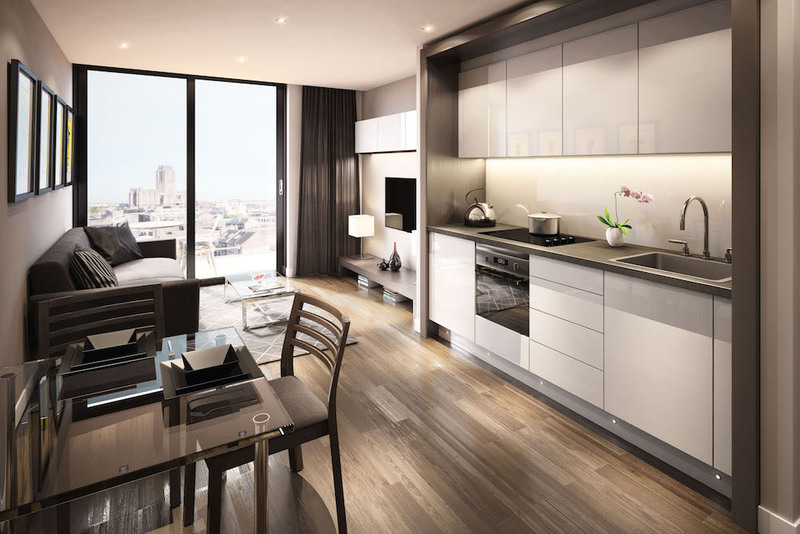 Inside, the residences enjoy a modern design with spacious layout and open plan interiors. 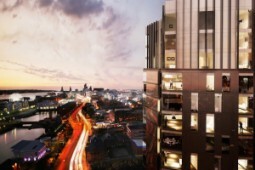 Please contact us for all the latest information regarding this brand new development in the heart of Liverpool – our professional team in the UK are on hand to answer any questions that you may have regarding investing here. 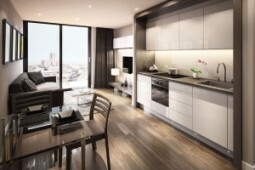 The developer of this project offers a rental assurance of 8% per annum for the first three years after completion. The rental market in Liverpool is one of the healthiest in the UK, with each rental property and owner able to choose from around 13.8 potential tenants on average – call us for all the details about this rental scheme. Liverpool is home to the second largest regional economy in the UK and is a major city attracting investment in real estate with prices affordable and rental potential higher than average. Liverpool’s student population exceeds 57,000 students and there are five award-winning universities – simply put, those who purchase a residence here can enjoy an endless pool of future renters. This project enjoys a central location and is only five minutes away from the nearest university and within close proximity to Liverpool One shopping centre full of international stores and boutiques. Liverpool Lime Street Station offers trains to neighbouring cities including Manchester and Leeds, while London is just a short two hour train ride away. Two international airports are within 45 minutes.